Considering inflation, average residential real estate prices across Brazil's fifty largest cities showed a real decline of -0.25 percent in January. RIO DE JANEIRO, BRAZIL – The average price of real estate in Brazil started 2019 in a decline, according to the latest FipeZAP Brazil Residential Sales Index. Considering inflation, real estate prices registered a real decrease of -0.25 percent in January, and a real decline of -3.7 percent over the last twelve months. 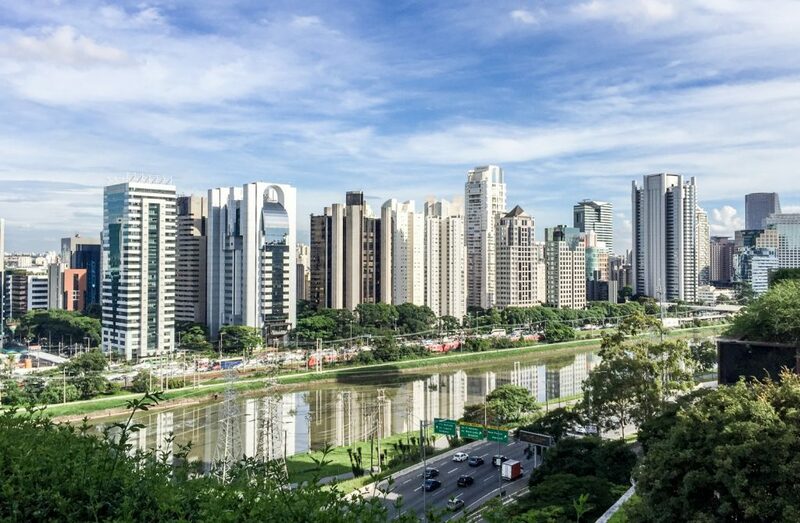 The upscale neighborhood of Cidade Jardim in São Paulo had the highest real estate prices in Brazil in January with listings averaging R$24,688 per square meter, photo internet reproduction. The new expanded FipeZAP Index tracks residential real estate prices across Brazil’s fifty biggest cities. Among the fifty cities to outpace January’s rate of inflation of 0.38 percent, as measured by the IPCA/IBGE (National Consumer Price Index/Brazilian Institute of Geography and Statistics), were Curitiba (1.27 percent), Florianópolis (0.75 percent), São Caetano do Sul (0.75 percent), and Brasília (0.69 percent). The biggest declines in January were seen in Campo Grande (-1.56 percent), João Pessoa (-1.28 percent), and Itapema (-1.20 percent). Rio de Janeiro saw prices decline slightly, down -0.14 percent. However, among the fifty cities surveyed in January, Rio de Janeiro held the distinction of having the most expensive square meter in the country, with an average sale price of R$9,474 per square meter. The upscale Leblon neighborhood had the highest average prices in Rio topping out at R$20,465 per square meter. Ipanema was not too far behind at R$18,733 per square meter, followed by Gavea at R$16,285. The next most expensive real estate listings in Brazil were found in São Paulo where the average price per square meter was R$8,831 per square meter. The highest priced listings within São Paulo and, in fact, in the entire country in January, were in the neighborhood of Cidade Jardim, where prices climbed to a whopping R$24,688 per square meter (more than four thousand reais greater than the next most expensive neighborhood, Leblon in Rio). Cidade Jardim was followed by Vila Nova Conceicao and Ibirapuera, which registered average square meter prices of R$18,144 and R$14,255 respectively. At the other end of the spectrum, the city with the cheapest square meter in the survey was Betim in Minas Gerais, with an average per square meter price R$3,072 followed by São José dos Pinhais in Paraná with R$3,361. The FipeZap Index monitors real estate sale prices across Brazil and is prepared jointly by the university research center, Fipe (Economic Research Institute Foundation) and the Brazilian online real estate platform, Zap Properties. In the other hand, real state in the form of rural lands will keep increasing more and more with people now seeking for good water sources, peace in nature, privacy and good land for growing their own food. Cities will fall down and only those living in Permaculture Farms will thrive.